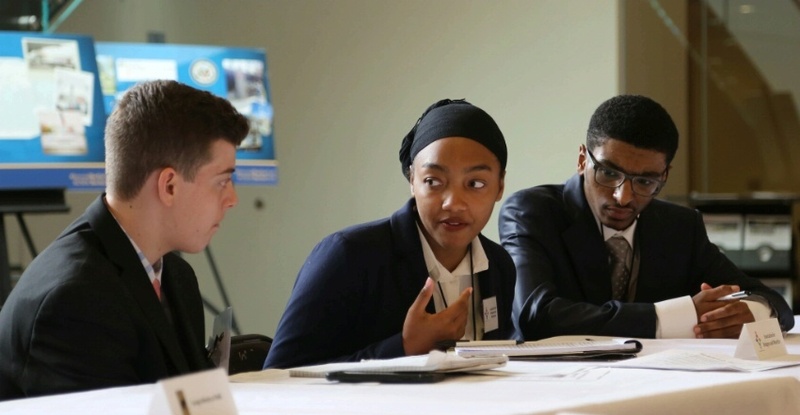 The United States Diplomacy Center Education Program connects high school and college students with the world of American diplomacy, increasing their understanding of diplomacy and inspiring them to be involved in foreign affairs. 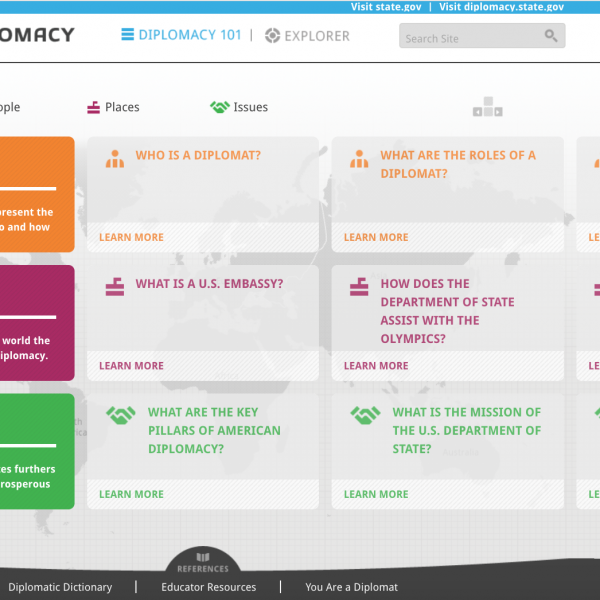 The United States Diplomacy Center Education Program illuminates the world of American diplomacy for students through high-quality, hands-on simulations, storytelling, and artifacts. Education program staff extend and amplify the reach of Center programs through rigorous teacher training, interactive online programs, student conferences, and traveling programs. We believe in the importance of diversity and make special effort to reach underserved audiences. 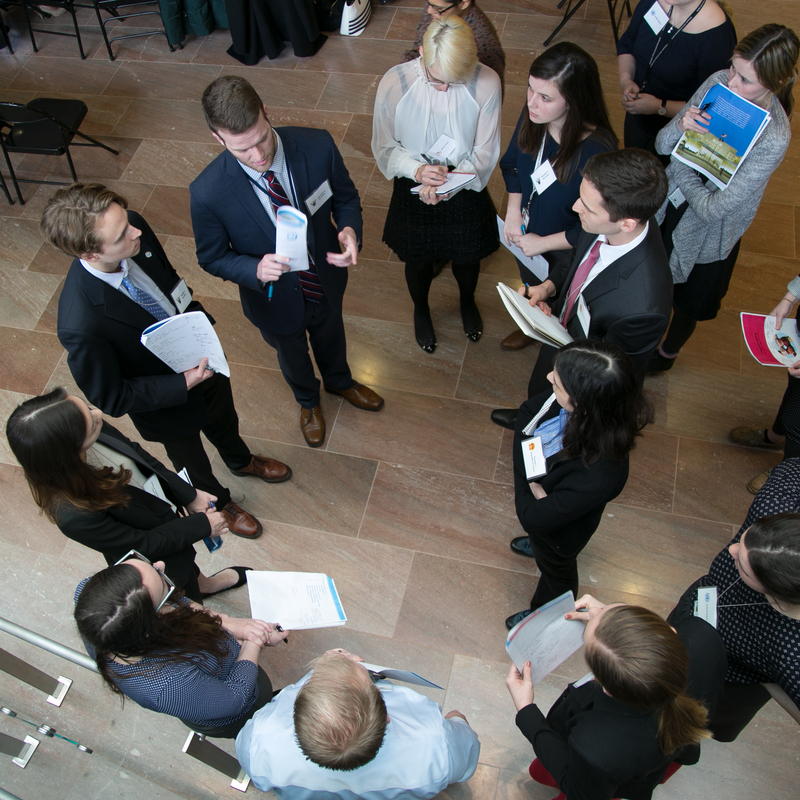 The Center’s education staff seek to grow and sustain a public-private, nationwide network of dedicated to educating students about the importance of American diplomacy. The Center’s education programs aim to increase the proportion of private sector funding through grants and the creation of an educational endowment. We have significant achievements in the program to date that we seek to institutionalize and grow in anticipation of the opening of the Global Classroom. 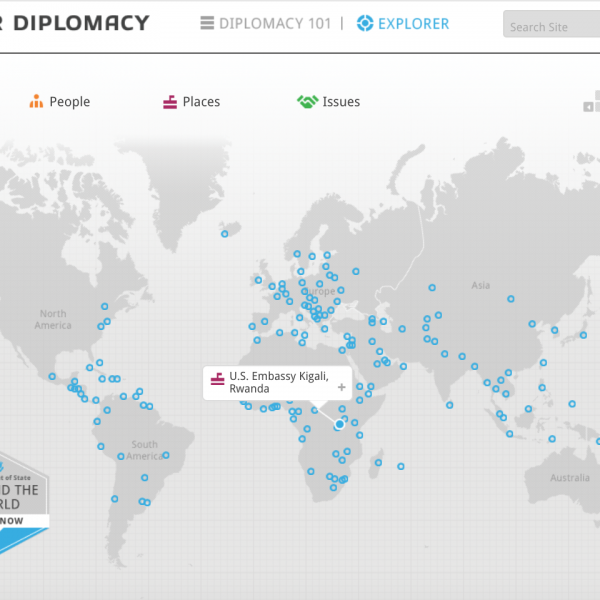 Diplomacy is a complex and often challenging practice of fostering relationships around the world in order to resolve issues and advance interests. 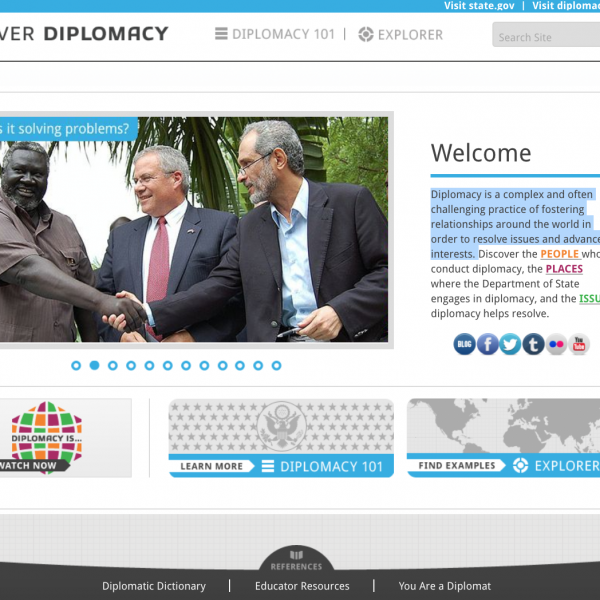 Discover the PEOPLE who conduct diplomacy, the PLACES where the Department of State engages in diplomacy, and the ISSUES diplomacy helps resolve. 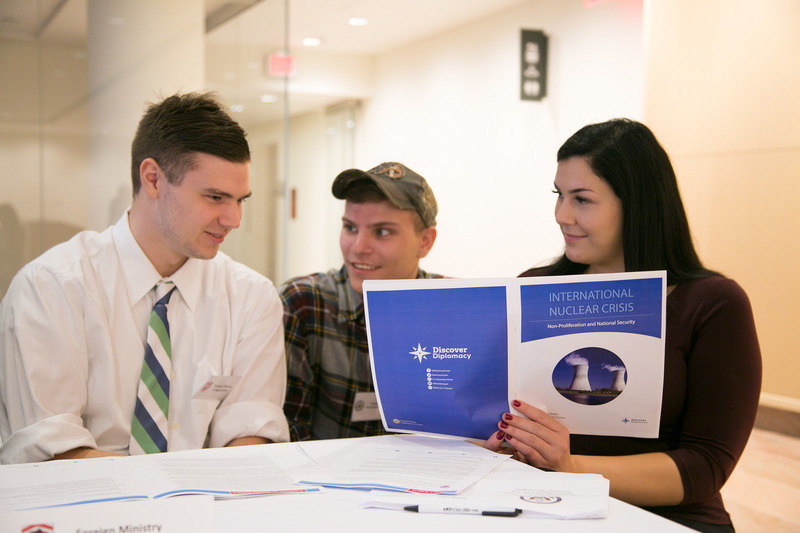 The diplomacy simulation program allows high school and college students, as well as educators, to step into the shoes of diplomats as they grapple with complex foreign affairs topics such as nuclear proliferation, international migration, and pandemics. In September 2017, these materials were made open access online for educators and students.